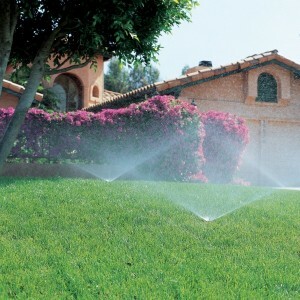 A proper irrigation system will assure a healthy garden. 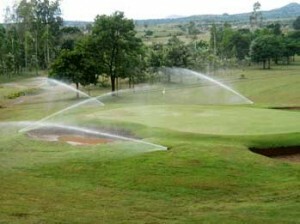 The methods of irrigation are flooding, furrowing, sprinkling and drip or soaking. 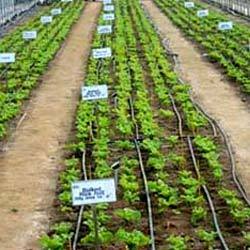 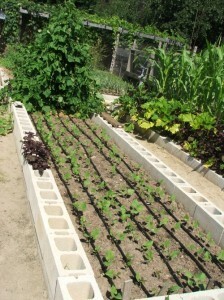 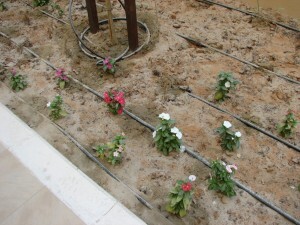 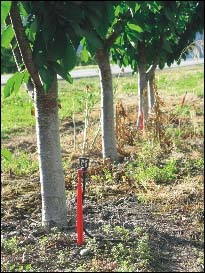 The drip irrigation system is the most effective of all, as it delivers water directly to the plants, through the soil. 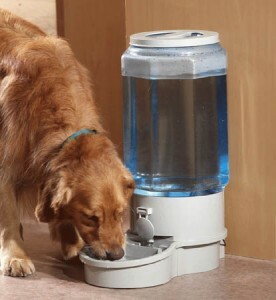 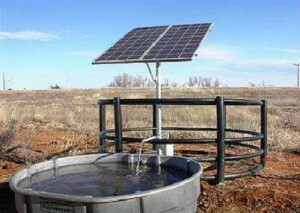 This system reduces water waste and reduces the time and money needed. 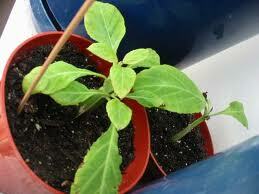 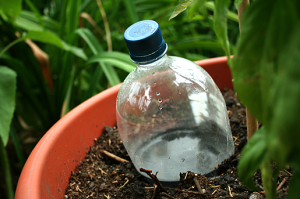 Determine the type of soil that will be watered. 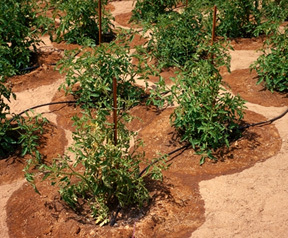 If the soil is mostly clay, the drip irrigation system will function properly, whilst if the soil is loamy, the system won’t work properly. 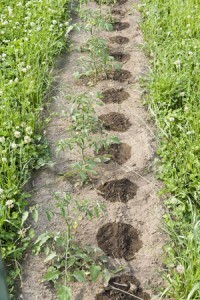 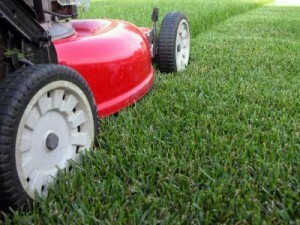 Lay down 15 feet of hose onto the soil and mark 5 sets of 3 holes each in the hose. 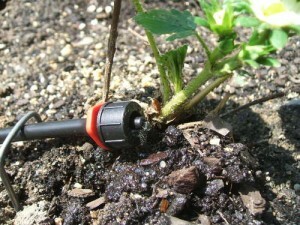 Make holes in the hose about 2 inches away from one another. 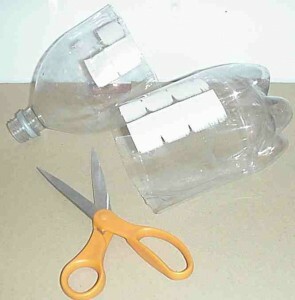 Cut a milk jug’s bottom and then make small holes on one side of the jug. 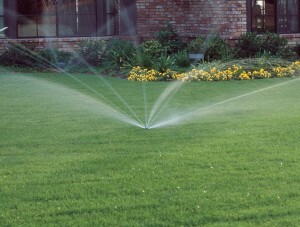 Place the jug top end first through the hose with the holes facing down. 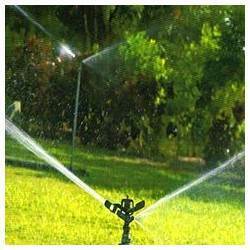 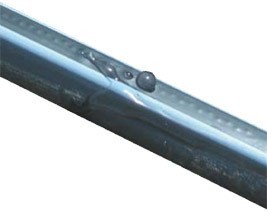 The hose end closest to the water supply must be attached to a female hose coupler. 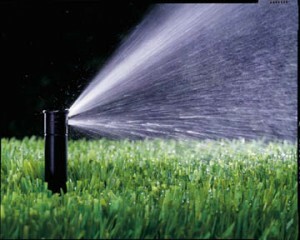 Place a male coupler on the other end of the hose. 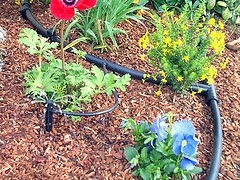 To avoid clogging the hose, attach a filter to the water source end. 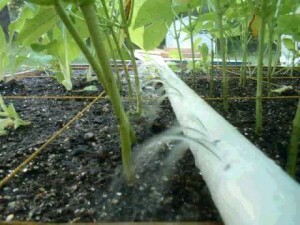 Next, connect the soaker hose to the garden hose. 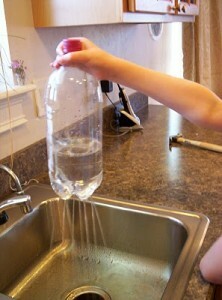 Turn on the water, make the necessary position changes to the milk jug and inspect the system to see if it works properly.